Office KGDVS, Arbor Drying Hall, Hersel, Belgium. 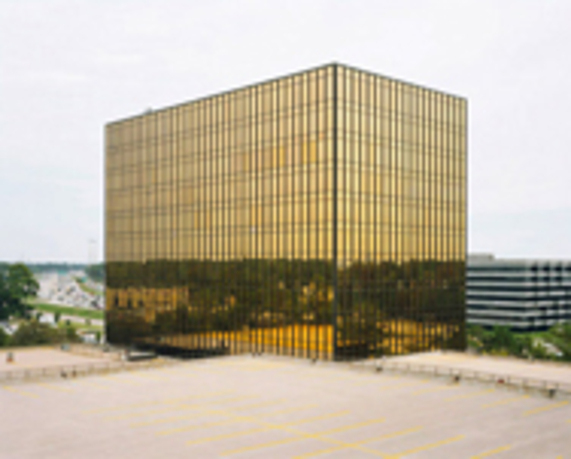 Photo: Bas Princen. Small Museum for the American Metaphor is an exhibition that brings together European perspectives on the American West and more specifically, the particularities embedded in the idealized fictions surrounding it. The visual argument here is that there is a certain architectonic "idea" that dwells on the celebration of Endlessness, as mythicized in the American West and Technicolor. The metaphor provides the foundation for an architecture that blurs the distinction between building and object, collapses the different scales, celebrates the fiction of the "wide open," and seeks to re-reinterpret the world as a gigantic interior. The exhibition includes works from artists and designers, such as John Baldessari, Koenraad Dedobbeleer, Jos de Gruyter & Harald Thys, Stefano Graziani, Rita McBride, Valérie Mannaerts, Jonathan Muecke, Jonathan Olivares, Manfred Pernice, Bas Princen, Ed Ruscha, Ettore Sottsass, Michaël Van den Abeele, Pieter Veermersch, Peter Wächtler and Christopher Williams, as well as models of past and present architectures of the "big box." Kersten Geers studied at the University of Ghent and at the Escuela Técnica Superior de Arquitectura in Madrid, Spain. He worked in Rotterdam for Maxwan/Max.1 Architects until 2001 and, from 2001 to 2005, for Neutelings Riedijk Architects. He was a tutor at the TU Delft, the University of Ghent, and the Accademia di Architettura di Mendrisio, and a guest lecturer and guest critic for the Berlage Institute in Rotterdam and Columbia University in New York, among other institutions. He is founding member and editor of San Rocco magazine, and frequently publishes essays on architecture in a variety of publications. In 2002, he founded Office Kersten Geers David Van Severen, together with David Van Severen. In 2008, they were awarded the Belgian Prize for Architecture and, in 2010, the Silver Lion at the Twelfth Venice Biennial of Architecture. Ruth Estevez is the director and curator of the Gallery at REDCAT, Los Angeles, where she curated from 2007 to 2011. Estevez served as the chief curator at the Museo de Arte Carrillo Gil, Mexico City. She has curated various exhibitions and projects with artists such as Mark Manders, Guy Ben-Ner, Matt Mullican, Javier Tellez, Allora and Calzadilla, and Fernando Ortega among others. In 2010, Estevez cofounded LIGA-Space for Architecture, the first space in Latin America devoted to the critical reflection and presentation of architecture and urbanism. Estevez has written extensively for various exhibition catalogs and art publications. Estevez holds a master's degree in art history from Mexico's National Autonomous University. John Baldessari upends commonly held expectations of how images function, often by drawing the viewer's attention to minor details, absences, or the spaces between things. Synthesizing photomontage, painting, and language, Baldessari's deadpan visual juxtapositions equate images with words and illuminate, confound, and challenge meaning. For most of his career, Baldessari has also been a teacher. 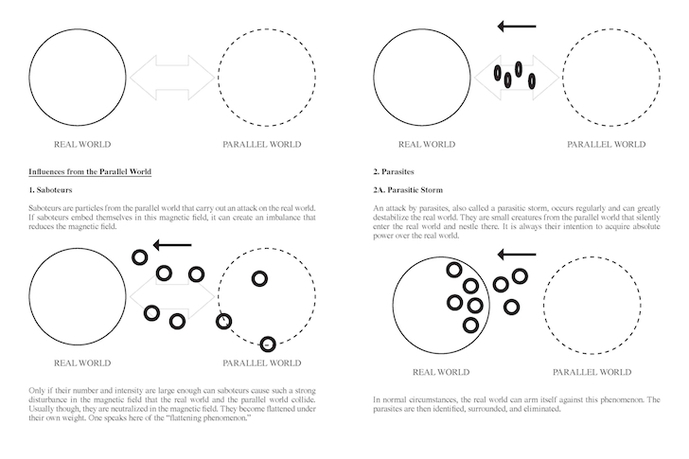 While some of the strategies he deploys in his work—experimentation, rule-based systems, and working within and against arbitrarily imposed limits to find new solutions to problems—share similarities with pedagogical methods, they are also intrinsic to his particular world view and philosophy. His numerous awards include: the Artist Award for Distinguished Body of Work, College Art Association (2011); the Golden Lion for Lifetime Achievement, Venice Biennale (2009); and a Lifetime Achievement Award, Americans for the Arts (2005). Koenraad Dedobbeleer creates objects that seem to question their own status. While most of his sculptures look familiar, none of them belong to our daily environment. Rather than copies, the sculptures are interpretations of existing forms. Dedobbeleer is interested in how an object or an idea can undergoes status changes and simultaneously exist within different realities and interpretations. Far from producing ready-mades, Dedobbeleer reinterprets these manipulated elements and distorts their meaning in order to examine them more effectively. He has regularly shown internationally since the late 1990s. 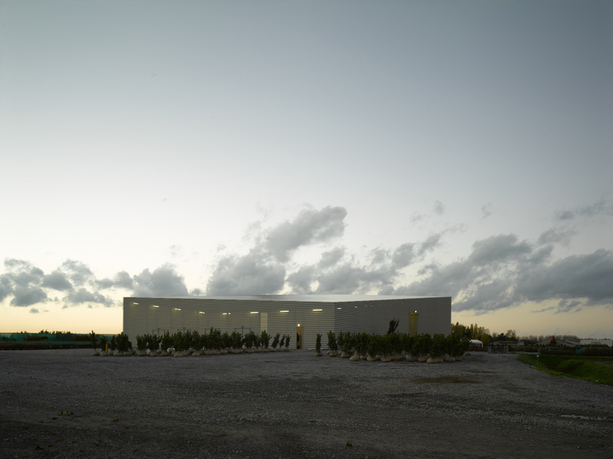 A winner of the Mies van der Rohe Prize in 2009, he has had solo shows at numerous locations, including: the Fundação Caixa Geral de Depósitos, Lisbon (2010); the Museum Haus Esters, Krefeld (2009); the Frac Bourgogne, Dijon, the Kunsthalle Bern (with Rita McBride, 2008); and the Museum Abteiberg, Mönchengladbach (2007). Stefano Graziani graduated in architecture from the IUAV in Venice, and is currently a photographer and professor at Trieste University. He has worked and published different portfolios for Domus (Yona Friedman, Le Tier Paysage, Chandigarh, Robert Smithson), A+U (Japan), Numero Press (France), Camera Austria, Territorio, Log, Editoriale Motta, Repubblica, Cross, FlashArt Italia, Abitare, Monopol Magazine (Berlin), Marsilio (Beyond Building, a catalog for the 2008 Architecture Biennale, curated by Aaron Betsky and Emiliano Gandolfi), and Abitare/Rizzoli (Maddalena Effect, edited by Studio Boeri, 2009). He has worked with Multiplicity on the projects Milano Cronache dell'Abitare (Mondadori, 2006) and Island and Ghettos (Heidelberg, 2008), later exhibited in Berlin (2009) and Graz (2009). He has been working with Armin Linke and Amedeo Martegani in Venice and with Stalker Osservatorio Nomade for Campagna Romana (2006). Jos de Gruyter and Harald Thys's art casts a merciless perspective on reality. 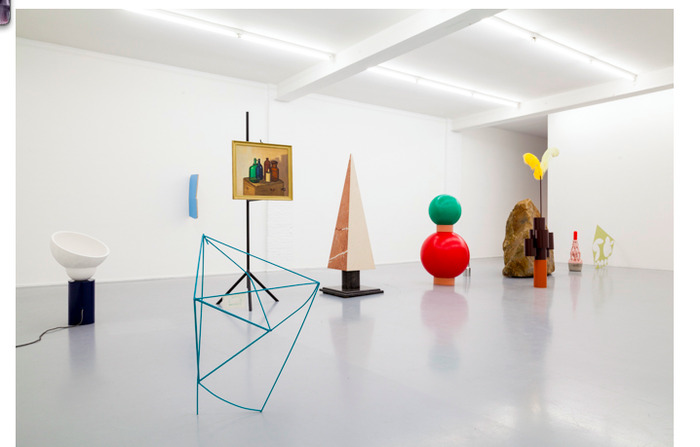 Through their numerous artistic approaches—including installations, video, drawing, sculpture, performance and photographs—de Gruyter and Thys visualize their imaginings of the parallel world inherent within the modern human psyche, along with how it manifests itself in the everyday aspects of life and civic conformity. Everything from work, leisure, and family to social class, masculinity, and marginalization are envisaged through convening an unlikely cast of non-professional actors, family members, friends, beards, objects, and mannequins alike, often in banal, homespun settings that are rife with awkward power dynamics. Solo exhibitions have been mounted at numerous venues, including: NAK, Aachen, Germany (2011); Kestner Geselchaft, Hannover, Germany (2011); the ICA, London, England (2011); Gallery Isabella Bortolozzi, Berlin, Germany (2010); and Frieze Art Fair, London, England (2010). Manfred Pernice creates sculptural vessels with scales, materials, and aesthetics derived from the worlds of architecture, shipping cargo, and mass packaging. These works serve as complex, open-ended meditations on the increased segmentation, containment, and to use Pernice's term, "canning" of objects and space. His seemingly slapdash sculptures are often juxtaposed with sketches, maquettes, photographs, text, and more recently, video to create systems of meaning. Solo exhibitions of Pernice's work have been organized by Musee d'art moderne de la Ville de Paris (1998), Portikus in Frankfurt (2000), Hamburger Bahnhof in Berlin (2000), Sprengel Museum Hanover (2001), Pinakothek der Moderne in Munich (2003), the Modern Institute in Glasgow (2006), and Neues Museum in Nuremberg (2008). Bas Princen is a photographer interested in capturing the suspended state in which architecture "happens" in the territory, ambiguously aiming to construction or destruction. He belongs to a generation of photographers who in their very own way make reference to so-called New Topographics. While the New Topographics photographers distance themselves from subjectivel -tinged photography in an attempt to render stark reality as faithfully as possible, Princen objectifies urban space in a comparable way, but with an ironic twist. Seen through Princen's lens, anonymous urban architecture assumes an almost magical and slightly surrealist air. In 2006, he was awarded the "Basis Prijs" Prix de Rome with Milica Topalovic, and in 2007, he participated in a residency at the Chinese European Art Centre in Xiamen. Rita McBride lives and works between Dusseldorf, Germany, and Los Angeles, California. She studied at Bard Collegeand later obtained her MFA from the California Institute of the Arts. Since 2003, she has been a professor at the Kunstakademie, Dusseldorf, where she was recently appointed director.Her solo shows include Public Transaction, Museo Tamayo, Mexico City (2013–14), and Public Tender, Museu d'Art Contemporani de Barcelona [MACBA], Spain (2012). Previously, she has shown at Kunstmuseum Winterthur, Switzerland (2010); in Public Works, Museum Abteiberg, Mönchengladbach, Germany (2008); and in Arena & National Chain, Witte de With Center for Contemporary Art, Rotterdam, Netherlands (1997). Her work has also been featured in group shows such as Sculpture at the Düsseldorf Art Academy from 1945 to the Present, K20 Grabbeplatz, Kunstsammlung Nordrhein-Westfalen, Düsseldorf (2013), among others. 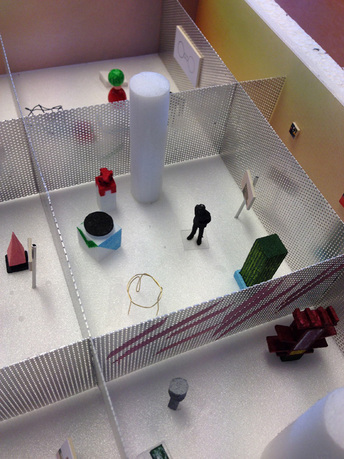 Valérie Mannaerts extends the method of collage to spatial objects. She explores the physiognomic qualities of things, questioning the relation between organic and inorganic forms, the presence and autonomy of objects, as well as the histories sedimented within them. Mannaerts has worked with materials as diverse as wood, bronze, ceramics, textile, paint, papier-mâché, and paper, creating hybrid, contradictory, and precarious forms that are at once open to chance and formally circumscribed. Her work explores the borderline between image and object, reminiscent of surrealist and later feminist preoccupations with material and image culture, corporeality, and states of consciousness. Her solo shows include Orlando, BOZAR Centre for Fine Arts (2013), Brussels, Belgium; Diamond Dancer (2011), de Appel, Amsterdam; Blood Flow (2010), Extra City, Antwerp, Belgium; and Wherefore the worm universe (2009), Galerie Les Filles du Calvaire, Brussels, Belgium. Jonathan Muecke has worked from his studio in Minneapolis, Minnesota, since his graduation from the Cranbrook Academy of Art in 2010, where from 2009 to 2010, he was the Florence Knoll Scholar. In 2006, he received his BArch from Iowa State University, followed by an internship at the architectural office of Herzog & de Meuron in Basel, Switzerland (2007). In July 2010, the jury of the Design Parade 5 (Hyéres, France) assigned him the Veuve Clicquot Award. In 2011, he had his first solo exhibition, comprised of eight projects at Volume Gallery, Chicago. His field of work circulates around the periphery of design. Jonathan Olivares graduated from Pratt Institute's Industrial Design Program in 2004 after having studied design and management at the New School University. In 2006, he established Jonathan Olivares Design Research (JODR), an office dedicated to industrial design, design-related research, and exhibition design. The combination of these activities gives the office a multilateral approach towards each project. The office designs furniture for Danese Milano and Knoll Inc., and works with a diverse group of research clients, with a wide variety of objectives. Research projects have included a survey of the American furniture industry for Domus; a four-year investigation of office chairs for Knoll Inc., which culminated in the book A Taxonomy of Office Chairs (Phaidon Press, 2011); and The Outdoor Office, a research project focused on designing outdoor work spaces done under two grants from the Graham Foundation. Ed Ruscha works in photography, drawing, painting, and artist’s books to record the shifting emblems of American life in the last half-century. His deadpan representations of Hollywood logos, stylized gas stations, and archetypal landscapes distill the imagery of popular culture into a language of cinematic and typographical codes that are as accessible as they are profound. Ruscha's wry choice of words and phrases, which feature heavily in his work, draws upon the moments of incidental ambiguity implicit in the interplay between the linguistic signifier and the concept signified. He received the National Arts Award for Artistic Excellence in 2009. In 2013, Ruscha was named to Time Magazine's annual list of the 100 most influential people in the world. That same year, he was honored on the occasion of the Whitney Museum of American Art's annual gala. Ettore Sottsass (1917–2007) was a preeminent postwar designer. Although trained and active as an architect, Sottsass secured a permanent place in pop culture with his designs of everyday items, including office cabinets, table lamps, ice buckets and silverware. In the 1980s, Sottsass was one of the founders and the leading figure of Memphis, the Milan design group famous for brightly colored postmodern furniture, lighting, and ceramics. His own architectural projects included Milan Malpensa Airport, a luxury yacht interior, and a house for the design entrepreneur David M. Kelley in Silicon Valley. In 2007, the Design Museum in London devoted an exhibition to his work called, Work in Progress. In 2006, the Los Angeles County Museum of Art presented what was billed as the first major American survey of his work. Christopher Williams studied at California Institute of the Arts where he received his BFA and MFA. Since October 2008, he has been professor of photography at the Kunstakademie, Düsseldorf. Williams's work has been the subject of solo exhibitions worldwide, most recently at Museum Morsbroich, Leverkusen, Germany; Museum Dhondt-Dhaenens, Deurle, Belgium (both 2011); Staatliche Kunsthalle Baden-Baden, Germany; and the Bergen Kunsthall, Norway (both 2010). Other notable solo exhibitions include the Kunsthalle Zürich (2007); Museu Serralves, Porto, Portugal (2006); Secession, Vienna; and the Kunstverein Braunschweig, Germany (both 2005). Major museum collections which hold works by the artist include the Carnegie Museum of Art, Pittsburgh; the Hammer Museum, Los Angeles; the Hirshhorn Museum and Sculpture Garden, Washington, DC; the Ludwig Museum, Cologne; and the Metropolitan Museum of Art, New York, among others. Michael Van den Abeele has held both collective and individual exhibitions throughout Europe, Mexico, and the United States, since 1999. They include: Curiosität, Galerie Micheline Szwajcer, Antwerp; CAC, Museum of Modern Art, Toluca, Mexico; Europa Vostra, Trafu, Budapest; International Meetings, Pompidou Center, Paris; Choose Choice (with Jos deGruyter and Harald Thys), de Brakke Grond, Amsterdam; Emergency Biennial, Matrix Art Projects, Brussels–Madrid–Grozny; Visa for 13, PS1, Contemporary Art Center, New York; Working Ethics, Krinzinger Projecte, Vienna; Orbis Terrarum, Plantyn-Moretus Museum, Antwerp. Van den Abeele has been artist-in-residence at the Ateliers Iternationaux d'Alsace et de Lorraine in 2000; PS1, Contemporary Art Center in 2003; and Platform Garanti, Istanbul, in 2008. Pieter Vermeersch's artistic research into painting expands beyond the confinement of the canvas. His non-representational, shimmering color-field paintings, which may at first appear to be associated with a tradition of monochromatic abstraction, are based on "real" images. Often they result from photographs of his own paintings, painting activities, or cloudless skies at sunset that the artist photographs himself and prints in negative, in an attempt to experiment on a "non-visible," elusive, or intangible side of reality or "image-making." Vermeersch was recently awarded a major exhibition in the framework of the Premios RAC 2013. Sohrab Mohebbi is a curator and writer based in Los Angeles. Mohebbi is the recipient of a 2010 Montehermoso research grant and a 2012 Creative Capital/Warhol Foundation Arts Writers Program grant for the blog Presence Documents. His writings have been published in Bidoun Magazine, where he is a contributing editor, as well as Artforum, Art Agenda, and Modern Painters, among others. Mohebbi was the 2010 Curatorial Fellow at Queens Museum of Art, New York. He previously served as curatorial assistant at the Hammer Museum, Los Angeles. He holds an MA in curatorial studies from Bard College and a BFA in photography from Tehran Art University. Mohebbi is the assistant curator at REDCAT, Los Angeles. REDCAT (Roy and Edna Disney/CalArts Theater) is an interdisciplinary arts center that introduces diverse audiences, students, and artists to the most influential developments in the arts from around the world, and provides emerging artists and cultural organizations in the region with vital opportunities to develop and present new work. Located within the Walt Disney Concert Hall complex in downtown Los Angeles, REDCAT was launched by the California Institute of the Arts (CalArts) in 2003.